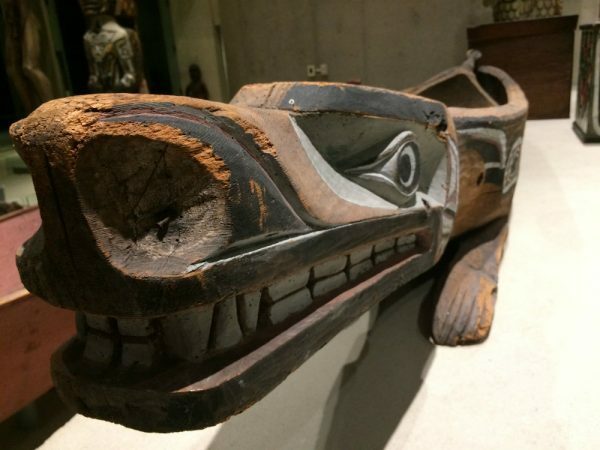 If you are interested in getting to know about indigenous cultures you should visit the Museum of Anthropology at the UBC Campus. When going to the Museum make sure you have a look at the Campus of UBC, it is beautiful and has a rose garden that is worth seeing. We also crossed the Campus and then headed to the Museum which is only a few meters from there. They have a lot of things to see! We went to MOA (Museum of Anthropology) on a Thursday because you only have to pay $10 from 5-9 pm. It usually is $18 for adults, but if you bring your student ID, it’s $2 cheaper. If you want to get more information about prices, tours or opening hours, you can visit their website. We weren’t allowed to take our bags inside, but they have a lot of lockers where you can leave your bag safely. They have three current exhibitions. The first one is called “In a different light: Reflecting on northwest coast art.” It was interesting to learn more about the indigenous cultures that used to live here and the exhibition offers a lot of different art. From canoes to masks and musical instruments. 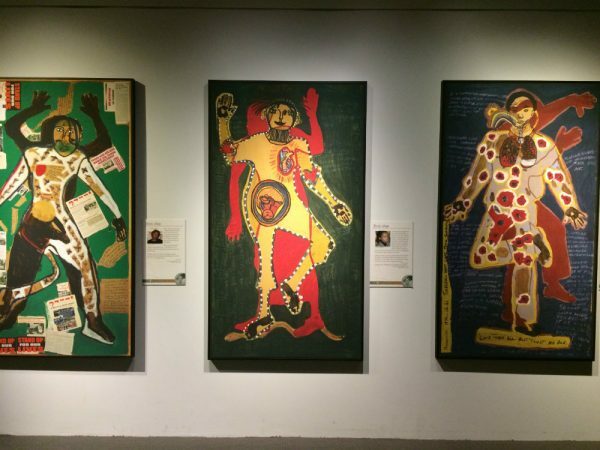 The exhibition “Amazonia: The Rights of Nature” draws attention to today’s threats to the rainforests and how indigenous cultures are trying to defend themselves against it. I liked it because you can also listen to indigenous songs and the sounds of the rainforest while relaxing in a hammock. The third one is called “The fabric of our land: Salish weaving.” I haven’t seen it myself because it just started. Beside the main exhibitions, they have two mini-exhibitions, a café, and a museum shop. We spent some time there, and I bought a picture of an indigenous drawing. They offer great things, but most of it is quite expensive, and you might get it cheaper elsewhere. It was fun to visit UBC and MOA, you can see another part of Vancouver, but it still is easy to reach by public transport. Are you thinking of taking a TOEFL test? Check out TOEFL test in Vancouver.